CHINA - While on assignment of AES in the Sichuan province of China I made a special journey to the south to visit the Leshan Giant Buddha, which was carved in the 8th century out of a cliff face that lies at the confluence of three rivers. It may not be the largest Buddha in the world anymore, but at 233 feet this seated stone figure is certainly the most impressive. The site serves as a pilgrimage destination. 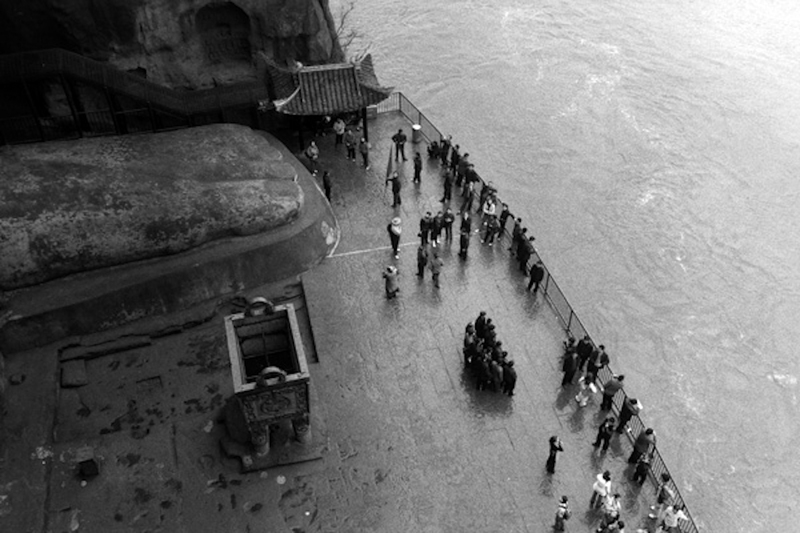 In this photograph one of the goups of Chinese pilgrims are seen gathering for a photo op. Only part of the giant statue's left foot is visible, allowing the viewer to imagine how immense the giant Buddha must be.